Did you know that Hartland Landfill accepts more than 80 different recyclable items across 25 categories of materials? Just because something isn’t accepted at the curb along with your Blue Box materials, doesn’t mean you can’t recycle it! From battery recycling and mattress disposal to knowing where to recycle electronics, we understand how difficult it can be to know what can be recycled, and where to take it. We are happy to take this problem off your hands. There’s no need to separate recyclables from the rest of your household junk; we can do this for you quickly and efficiently. Much of what we regularly throw away can be used again. Recyclable items include metals, electronics, paper, cardboard, paints, chemicals, oils, tires, appliances, lightbulbs, batteries and more. We sort our loads onsite and recycle as much as possible ourselves to save you money on the final dumping fee. Items like glass Styrofoam and small amounts of plastics and wood are recycled by the pros at the depot where we dump our truck. Want more information about what you can recycle in British Columbia? Check out this extensive list that we are happy to assist with. For our commercial clients, we handle wood pallet recycling, construction waste recycling; and commercial hauling jobs that involve appliance removal, furniture pick ups, and mattress disposal. These services are particularly useful for property management companies, who may have several units to take care of on a regular basis. 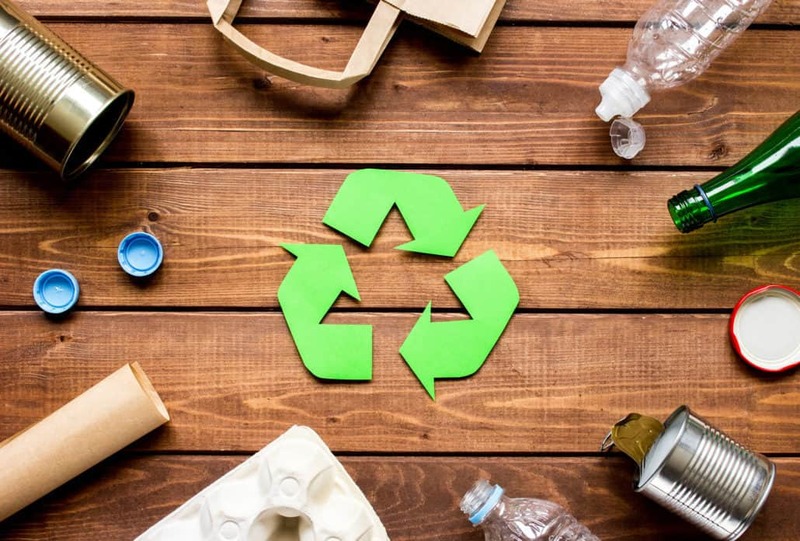 Many businesses generate large quantities of recyclable materials like cardboard boxes, packaging, Styrofoam, plastic containers and paper cups. Whether you own a retail business or a restaurant, we can handle all your recycling needs, and help you keep your business site clean, organized and running smoothly. Did you know we offer discounted rates and same day pick up to our commercial clients? We’re also happy to discuss regular pick up services for business clients with ongoing recycling needs. We service lower Vancouver Island all the way to Cowichan, including the Gulf Islands, and can discuss travel rates for areas outside our regular geographic boundary. To request an estimate on recycling hauling costs, please give us a call.